LCM Partners is one of Europe's leading alternatives investment management firms. We are widely recognised for our deep understanding of credit and track record of generating strong, risk-adjusted returns for our clients through investments in performing, rescheduled and non-performing loans. Offering unrivalled expertise, LCM has been investing in credit for over 19 years. Our senior team has over 350 years' combined experience with backgrounds in asset management, investment banking, strategic consulting, M&A and business intelligence. The core senior management team has been in place for over 16 years. We benefit from a proactive approach with banks and financial institutions, often transacting on a repeat basis or building long term exclusive partnerships. LCM's sister company, Link Financial Outsourcing, is one of Europe’s leading specialist loan servicers and as a Group, we employ over 700 people across 11 European offices. Moreover, we have established a global network of servicing partners that further enhances our reach, providing unparalleled access to transactions and opportunities across the key European and global markets. LCM has one of the strongest origination capabilities in Europe and is responsible for managing over €26 billion across more than 2,000 portfolios. There is no substitute for experience in this market. We have a proven track record of investing in credit since 1999 and generating stable, double digit returns for our investors and shareholders across the economic cycles. 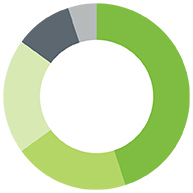 The marketplace we operate in is large and offers a continual flow of investment opportunity; LCM targets mid-market transactions of €5-75 million across consumer and SME loans including credit cards, mortgages, personal and commercial loans, retail credit, auto loans, leasing and asset finance, utility bills and consumer public sector (including student loans). LCM Partners recognises the importance of environmental, social and governance (ESG) issues, in the way we invest and the way we manage our investments. We believe that a comprehensive ESG framework, with a strong focus on compliance, promotes good management practices whilst contributing to the long-term success of LCM and our clients. Our performance is a direct result of the expertise of our team. Private Debt Investor: European SME Lending – How to find your niche. What is alternative in credit? Who lit the spark under the NPL bonfire? Our excellence in fund management has been recognised through a number of prestigious awards and nominations. Join a world class team. At LCM Partners, we are always looking to hire and develop talented professionals who want an environment where they can be creative, ambitious and have a real impact. Our expertise in credit management and commitment to excellence are why we are regarded as pioneers in our industry. If you enjoy being challenged, refuse to accept the status quo and want a rewarding, exciting career, then we want to hear from you.